SAN FRANCISCO (KGO) -- Batman and his friends were busy on Monday visiting sick children at a San Francisco hospital. Spiderman, Wonder Woman, Ironman and 10 other superheroes swung by USCF Benioff Children's Hospital, making quite the entrance rappelling down the side of buildings and waving to kids. 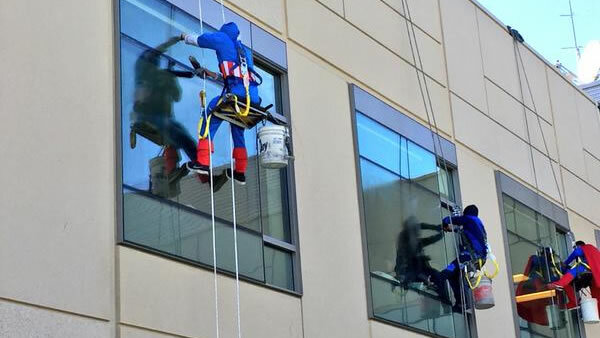 The superheroes were on a mission to bring a smile to young patients by surprising them and washing their windows.